One thing most people know about me is that Earl Grey (EG) is my favorite tea. So it’s a wonderful coincidence that EG is very popular in Tokyo! While coffee shops are almost always guaranteed to serve EG, many places have the iced tea option as well. This week I noticed my local convenient shop / deli had a couple new Lipton products. I’m not sure if Lipton offers a variety of ready-made teas in the States, but since I’m in Japan I figured I’d try some out. 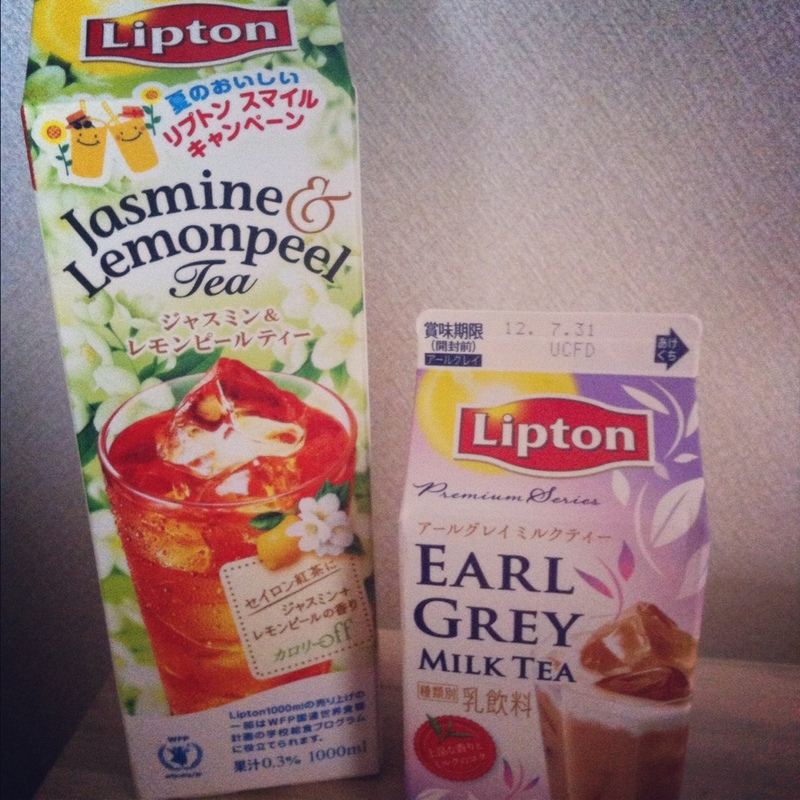 I certainly appreciated the EG milk tea, however I was pleasantly surprised with the Jasmine & Lemonpeel. It has a mild jasmine flavor with the lemonpeel providing just enough kick to liven up the taste! The lemonpeel flavor is much more tasty than a lemon additive to tea. Look out for these in the States, and let me know if you see them! I will be drinking more of the Jasmine & Lemonpeel, especially in these hot temperatures.